Over the years, researches came up with the fact that natural, home remedies are far more beneficial for treating the various facial problems like excess oil deposition, tanning of the skin, acne breakouts, and so on. Amongst the various natural remedies, different facial masks are the best as they not only exfoliate the skin but also make the dermal layer healthy. One of the key benefits of the facemasks is that they contain a number of essential ingredients required for a healthy skin. As they are usually made of two or more products, the combined effect on the skin is incredible, something you wouldn’t want to gamble with. 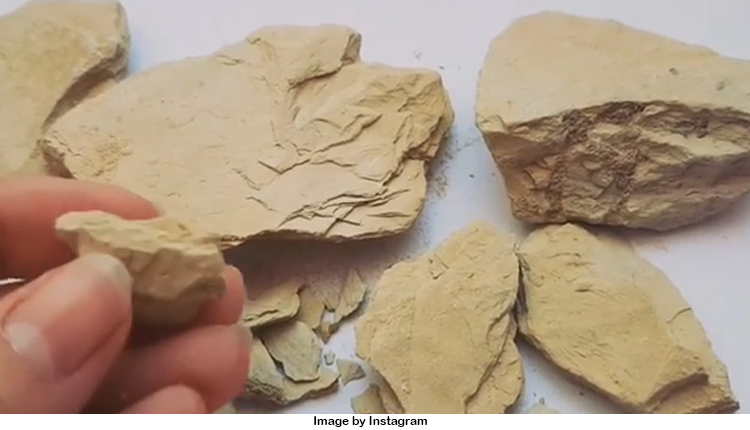 Amongst this, in India, Multani mitti facemask is the most popular one, owing to the numerous benefits of the lime clay. According to the history, this clay-like soil was obtained from the city of Multan in the 18th century. Since then it has shown tremendous cleaning effects and hence it has been used as one of the best beauty treatment products. For different skin problems, there are different Multani face packs. So what are you waiting for? Learn your own skin type and then grab the yellow colored lime clay and apply it on your face. Let’s have a glance at some of the Multani mitti skin face packs for different skin problems! If your skin is oily, then you will have a tendency to have frequent acne breakouts. Also, the sebum accumulation is a trigger to the microbe growth in your skin pores. This is why the best thing you can do to alleviate the growth of acne and control the sebum level is by applying a face pack of Multani mitti with rose water. The mixture will balance your skin’s pH and will generate a cooling sensation. The oil-absorbing property of the fuller’s earth helps in controlling the oil level on your skin and hence prevents the acne breakouts. Almond is rich in Vitamin E which acts as an anti-oxidant and relieves your face from stress lines, dark circles, and acne. Raw milk will help in refilling the lost proteins, fats, and other nutrients in the skin. Also, milk has a high hydrating property that will soften the skin, making it smooth and supple. Fuller’s earth will cool the irritations and will help in reducing the fine cracks formed on your rough and dry skin. Not only the acne can leave spots or scars on the skin but also other facts like dark circles, permanent tan, and many others. Its really difficult to remove these spots, especially if they are formed in the stem cell layer of your skin. This is why Multani mitti with tomato juice is extremely beneficial in lightening the skin and removing the spots. Use of a pinch of sandalwood and turmeric powder will give an instant glow to your skin. Vitamin A and C present in the tomato pulp will brighten the skin and will fight off the mild acne. Which Mild Shampoo is Best and Why? Why is Amla Juice Ideal For Your Healthy Lifestyle?